1) This burrow is an incredible specimen, the sequence of images below show how a lid of mud can be raised to reveal the burrow below. The lid, burrow and hinge are all made from a mixture of mud and spider silk. The craftsmanship is truly impressive. A sequence of images showing how the trapdoor burrow opens. LDUCZ-J410. 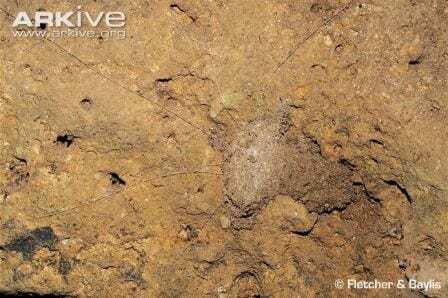 To build the burrow, first the spider will dig a tube-shaped hole using its chelicerae which are specialised mouthparts. The burrow is lined with silk to give it stability and to maintain its shape. The lid is a mixture of earth and silk, which forms a sturdy plug. Earth, moss and more silk are then used to create a hinge that allows the burrow to be sealed if it rains, to prevent it from filling with water. Annoyingly for people like myself who are more comfortable with a heavy dose of Vulcanesque logic, not all trapdoor spiders utilise trapdoors. Some species construct a silken tube in gaps within tree bark for example, from where they ambush their prey. 2) The common name trapdoor spider (as opposed to a scientific name) is applied to around 120 species of spider, that belong to a variety of spider families. 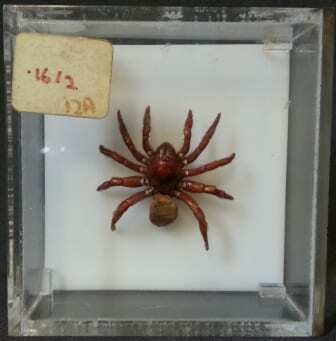 The specimen shown below is a trapdoor spider from the family Ctenizidae which is the largest family of trapdoor spiders. Trapdoor spiders can be identified by having short and blunt spinnerets (the two appendages at the back for spinning silk), long leg-like pedipalps (the two appendages at the front that look like short legs) shaped like boxing gloves, and they tend to be black or brown in colour. Female trapdoor spiders are larger than males though do not often leave their burrows so are far less frequently sighted. 4) Love isn’t easy in the world of trapdoor spiders, and males are often met with an aggressive display by the female. Luckily for the continuation of the species, the males are courageous enough to plow on ahead anyway, and some of them even survive the mating. Others find themselves on the menu. Whilst both sexes build burrows for both protection and hunting, the female will also use her burrow as a nest site. She will spin an egg sac and lay around 300 eggs, which she keeps safely hidden in her burrow. 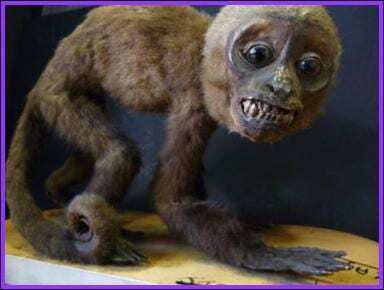 When a female has offspring, she will capture food and regurgitate it for her young, called spiderlings. A trapdoor spider of the family Ctenizidae. LDUCZ-J409.